Wow!! Royal Crown Roofing... You have really out shined your competition. Thank you for your wonderful customer service, competitive pricing, and for your work ethic. Your honesty speaks volumes. You are now our go to roofing company for any future needs. I was pleased from the outset. The phone was answered by the person (Garath) I would be dealing with. He and Derrick conducted a thorough inspection of my roof and made recommendations, without being pushy, for things I hadn’t thought of. The roofers arrived as scheduled and finished the same day, leaving my property clean. I highly recommend this company. Gareth was great to work with and very easy to communicate with. They were able to get out right away and give me an estimate the same day. I was very impressed and would use them again. Royal Crown Roofing is the company you want if you have any roofing issues, big or small. They are very professional, reliable, honest and experienced. The customer service you will receive is above any other. Highly recommend them to everyone! I recently needed gutters installed on my house. I did a lot of market research and came across Royal Crown Roofing. I decided to contact this company and was quickly introduced to Gareth. After a brief phone conversation with Gareth, he showed up to my house. I was able to show him what I wanted done. Gareth was very knowledgeable about roofs and gutters. He showed me several different ways they could complete the work. After we agreed on which direction we were headed, he told me his crew would be back the following morning to take the measurements needed to provide me the quote. As promised, the next day, his crew showed up and took all the measurements they needed and within a few hours Gareth was able to provide me a quote. Due to their competitive pricing, I went ahead and scheduled the installation for the following week. Just as scheduled, The Royal Crown Roofing crew came to my house and completed the gutter installation. The installation was done in a timely and professional manner. I am extremely satisfied with the work that was done by this company and I would highly recommend Royal Crown Roofing to anyone. The best roofing company I’ve ever dealt with. After a hurricane they were so busy the owner himself came to my house and fixed a leak. Their customer service is amazing! I would highly recommend them. Excellent experience with our total roof replacement with Royal Crown Roofing. Gareth helped us with every step of the process, meeting with our insurance appraiser, helping us understand our claim and insurance company coverages, and assisting us in providing the right information to our HOA to have the work permitted. He added us to his job roster quickly, working around our schedules. Royal Crown’s work crew arrived on time, took every step to protect our lawn and property, and removed and replaced our entire roof in a SINGLE day, ahead of schedule. They did a thorough clean up, leaving our property tidier than it was than when they arrived! The new roof looks great and is a visible improvement to the appearance of our 19 year old home. We could not be happier with the process or the results. Thank you, Royal Crown Roofing!!! I live in a 3 year old DR Horton home. A roof vent developed a leak and destroyed part of the roof deck. Gareth and his crew came out and surveyed the damage from inside the attic as well as outside. He took out his drone and did a complete survey of my roof. 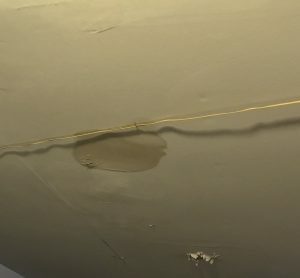 Not only did he point out what caused the leak and damage to the roof, but he also pointed out several areas where I needed to have additional work done to prevent future damage. The work was done to repair the damage as well as the preventive maintenance at a price less than 2 other bids. They were on time, professional and left the job clean. I would definitely recommend them. Excellent company. They came out and inspected my roof and offered a very professional assessment and provided me with detailed options for repair without pushing me for a sale. Upon deciding I would go with them to repair my roof they were able to come out the next day and did a great job with the repairs. They cleaned up after themselves and left my property looking exactly as they found it. Would definitely recommend them. Royal Crown Roofing is the company to call if you have any roofing needs. They are very professional and work diligently for their clients. I couldn't be more satisfied with the service they provided. I will use them again and most definitely recommend this company to my friends. When it's time for a new roof, save yourself the hassle and call these guys. Johnny was great individual to deal with, he dealt with the insurance company and had the roof replaced quickly. Johnny, and Royal Crown did a great job on the roof and customer service was top notch. They facilitated almost all interaction with insurance company making it an easy experience for us. Gareth and his team did a great job on replacing our roof! He explained everything thoroughly and even dealt with the insurance claim, and managed all the backend Paperwork and questions. The roof was installed in one day, and it turned out great. I highly recommend reaching out to Gareth for any roofing needs. Help take great care of you. Royal Crown recently completed a wonderful full roof replacement on my home. They were able perform the installation in a very timely manner and at the first proposed installation date. Their sales team was extremely professional and assisted with picking out the best roof type for my budget and home needs. The perfection of he installation stands out next to some of my neighbors homes that have had recent roof repair so much that i frequently get asked who performed the roof work by other neighbors so they could use them as well. Post job clean up was exceptional and no waste was left behind, my yard was cleaner after the work than before, and the sales team stopped by after completion more than once to make sure that we were pleased with the roof installation. I have recommend Royal Crown to all my friends and family that might be interested in their services. Professional company with an exceptional roofing team! I will refer Royal Crown to all of my family and friends. They were polite and finished the job quickly. No mess afterwards! Great company ran by great people. They treat every job like it’s their own roof so you never have to worry about quality of work or service because it will always be top notch. Straight forward and great work. Highly recommend them to anyone! !